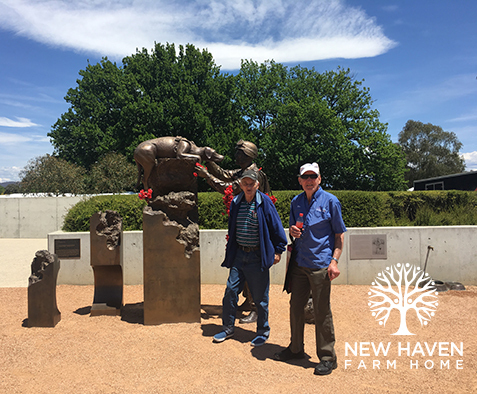 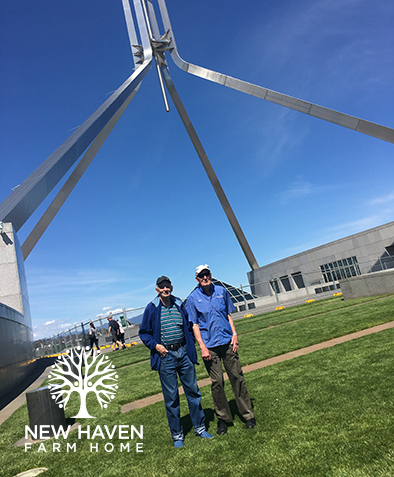 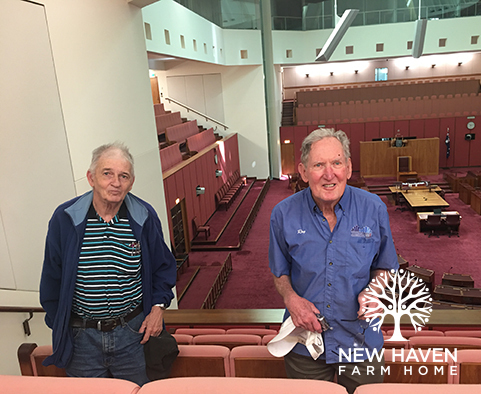 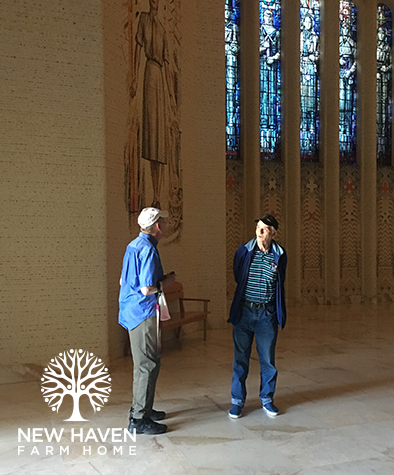 Keith and Roy had a fantastic trip to Canberra for a few days with their New Haven Farm Home support worker Bernadette in November. 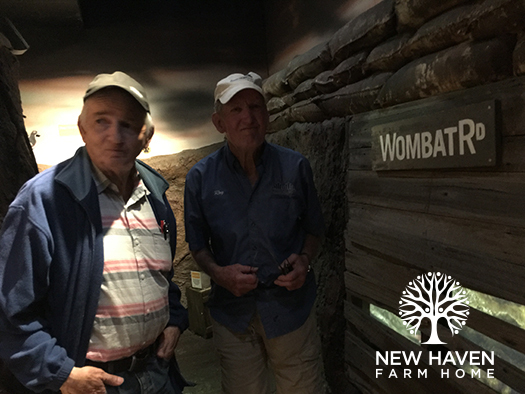 Leaving bright and early in the morning, the men enjoyed stopping along the way to take in some sights before reaching Canberra. 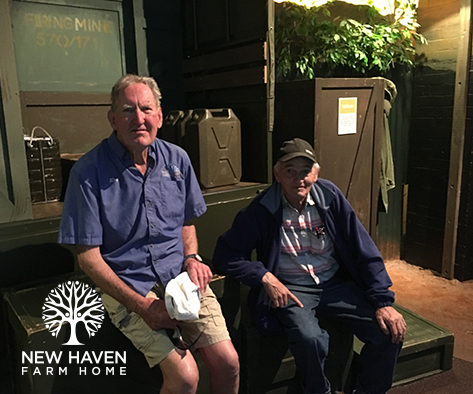 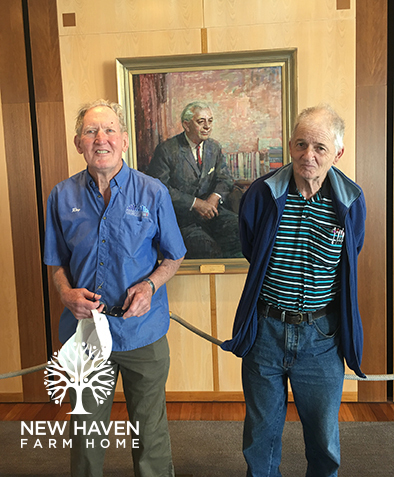 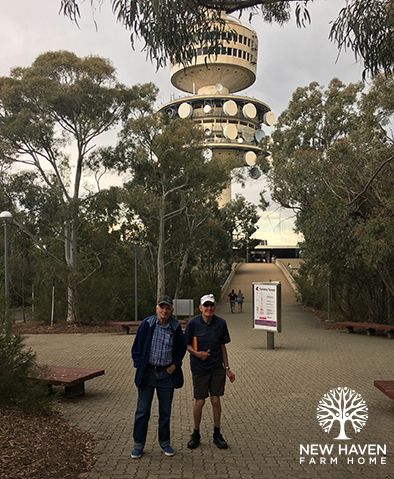 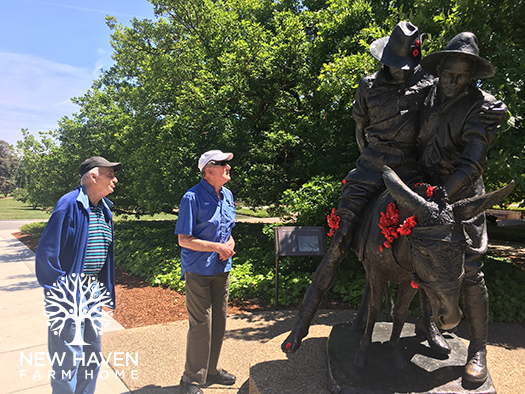 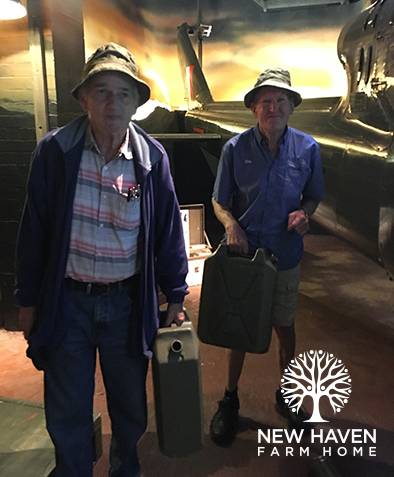 Keith and Roy enjoyed seeing many of the local sites, including the Australian National Botanic Gardens; Parliament House; Lake Burley Griffin and they even went up Telstra Tower. 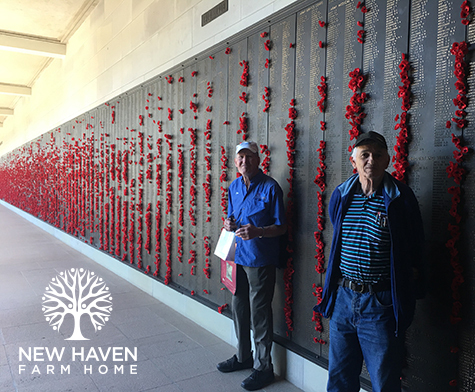 The highlight, however, was to attend the National Remembrance Day Service at the Australian War Memorial. 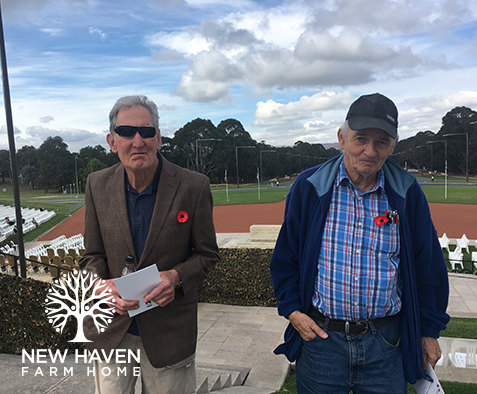 Following the service, the men had the opportunity to meet and chat with some of the service personnel and stop for some photos before heading into the War Memorial to look at the displays. 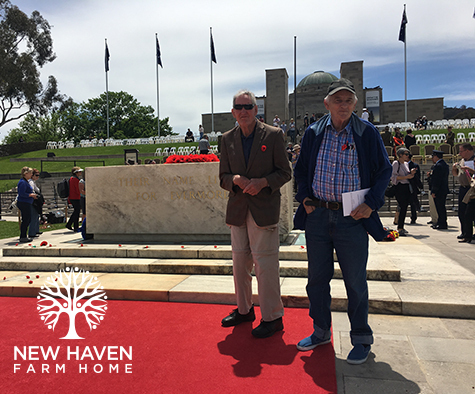 In sharing his time away with office staff on their return, Roy said he was most taken back by having the opportunity to attend the Remembrance Day service and to see the grave of the unknown soldier. 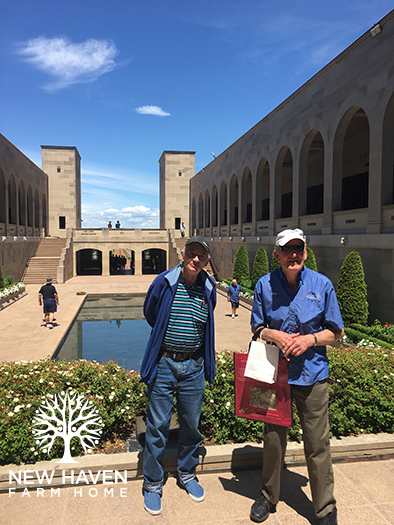 Both Keith and Roy had a great time away and really enjoyed seeing Canberra. 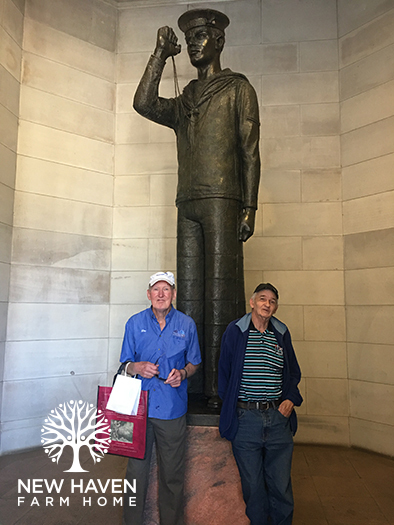 Thanks to Bernadette for supporting the men in seeing so many of the different sites and supporting them in achieving this goal.